If patterned outer is selected, please specify the fabric name choices from our fabrics page. Click here to view our fabrics. 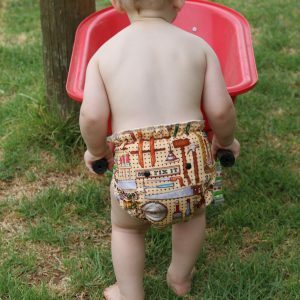 What makes a Daysie different to alot of cloth nappies on the market ? They don’t have a plastic layer in them (PUL) But don’t be concerned. There is alot more absorbency to compensate for it. 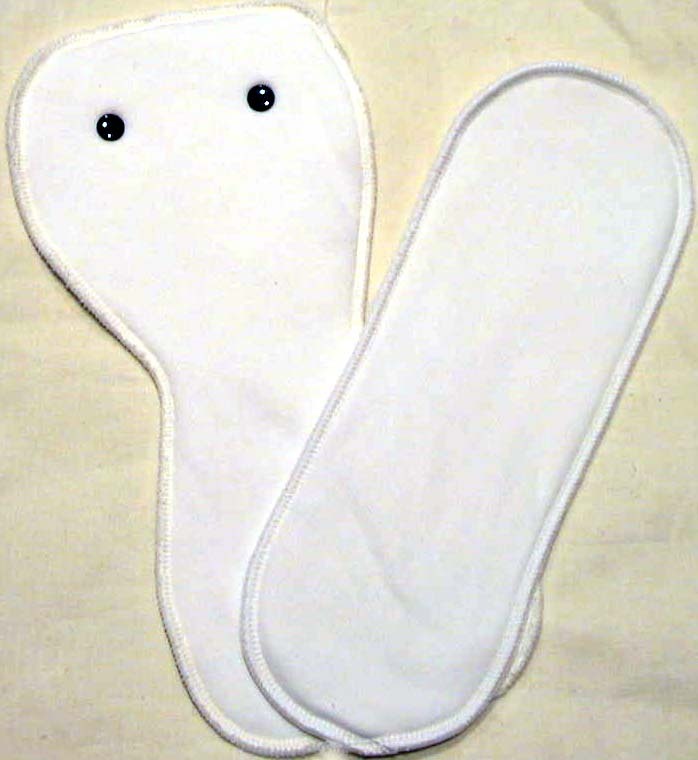 They are actually great for heavy day wetters. 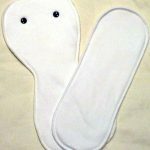 They are a soft, natural, highly breathable and absorbent alternative. 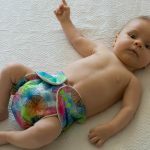 So instead of leaking when the nappy is full like a nappy with PUL they will just feel a little damp on the outside when maximum absorbency is reached. 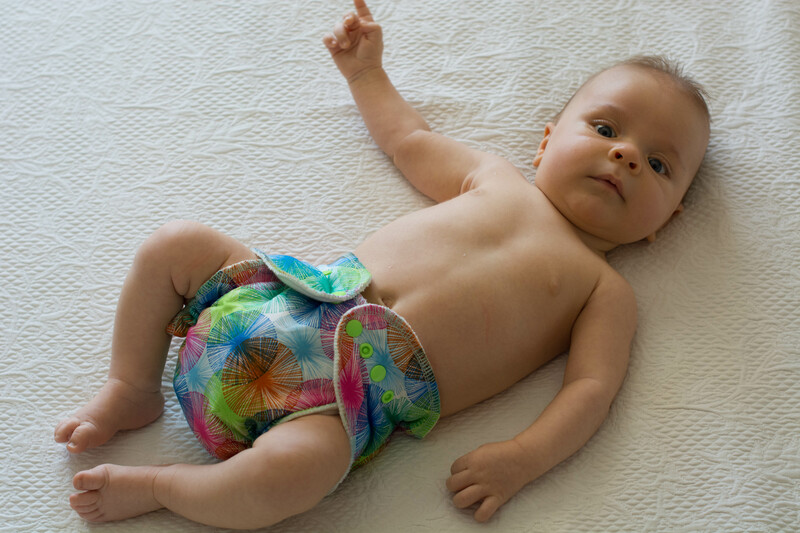 An additional universal boosters can be used with Daysies for extra absorbency. 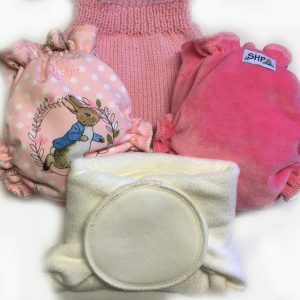 These nappies can also be used as night nappies in light wetters or younger babies with a wool cover. 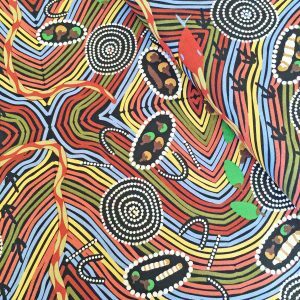 To choose prints click on the link to current fabrics. 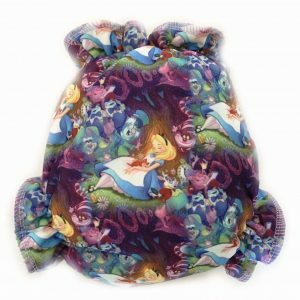 Also the Large Daysies boosters are interchangeable with the boosters in the Sandman night nappies for versatility of use. As mentioned they have no plastic waterproofing but can be used in Summer without a cover.